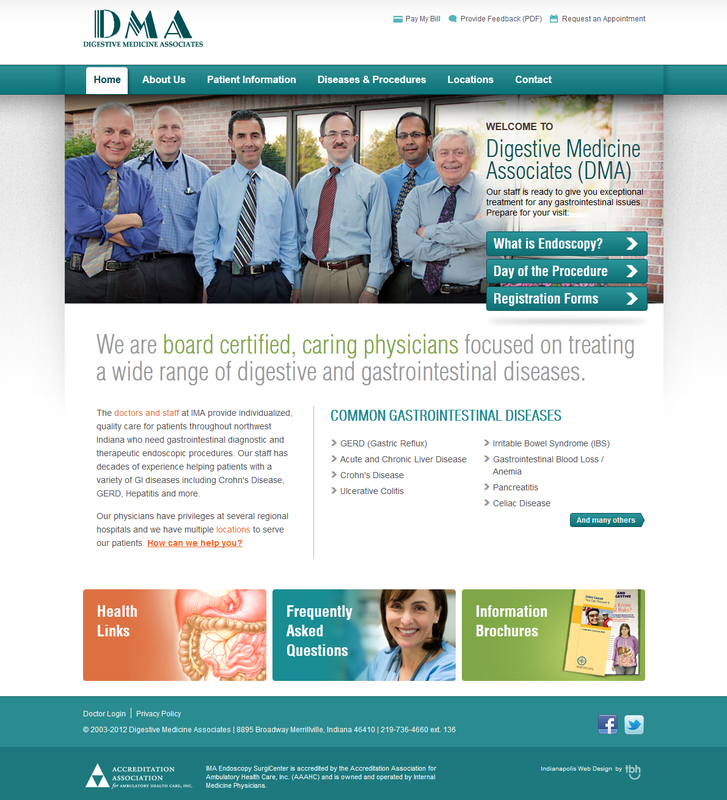 We launched a new website for Digestive Medicine Associates at www.gimed.com. We built the first website for Digestive Medicine Associates in 2002. A decade later they were ready for a redesign, and we helped them update their look and add more value for their visitors. The new website we designed clearly communicates their expertise and service offerings. 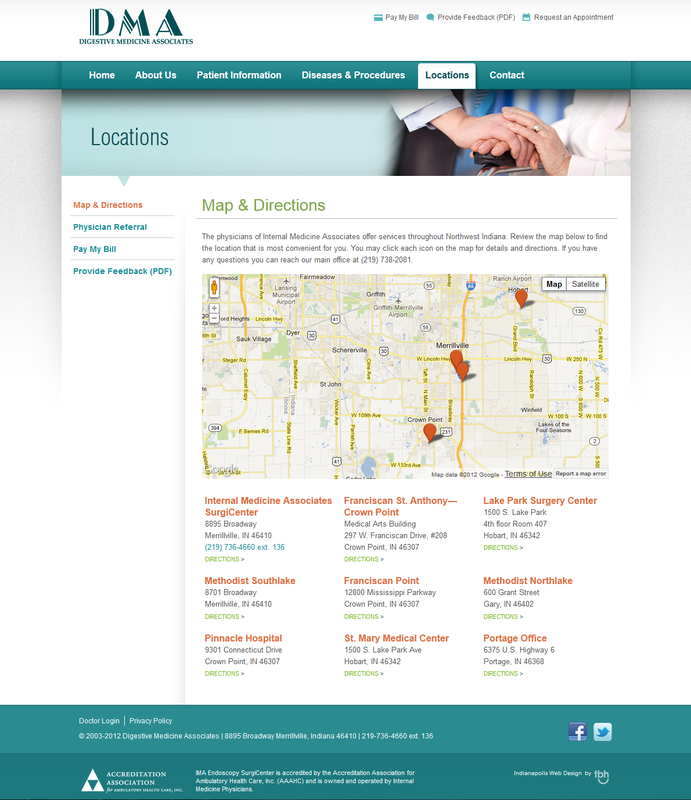 The goal of the new website was to make two things apparent to the audience; 1) who these doctors were by showing a photograph and listing their area of expertise and 2) where they were located by using an interactive map and drop down menu of locations. 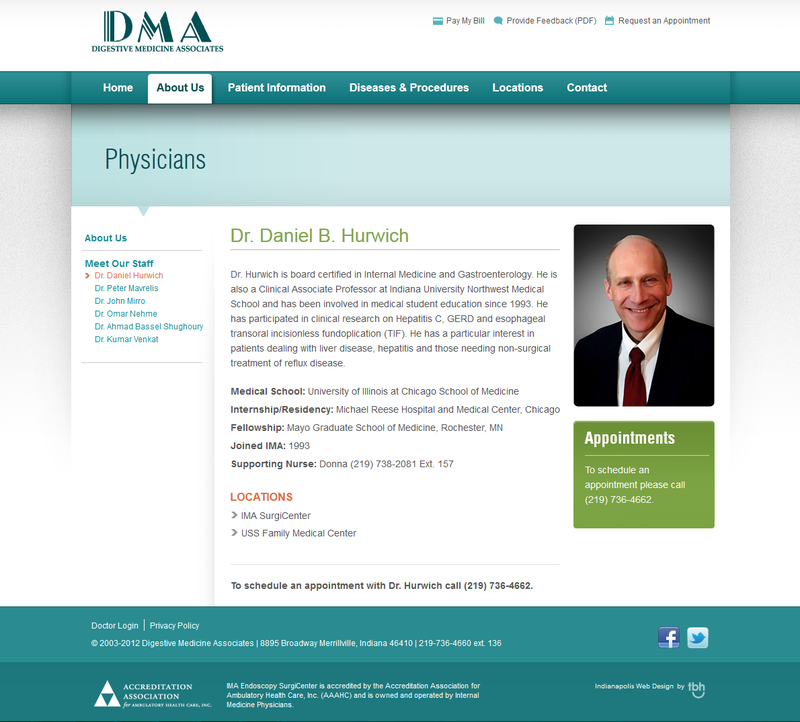 The home page was designed to showcase the experts and lead visitors to what they need. The photo of the doctors shows they are real people and elicits a warm and inviting feeling. The link to necessary forms and instructions for the day of the procedure were placed prominently with the introduction sentence because they are the most common items needed from new patients. The physician bio pages feature a formal photograph and lists their areas of expertise. The locations page has an easy to read map with each office pin-pointed to clearly show where they offer services. 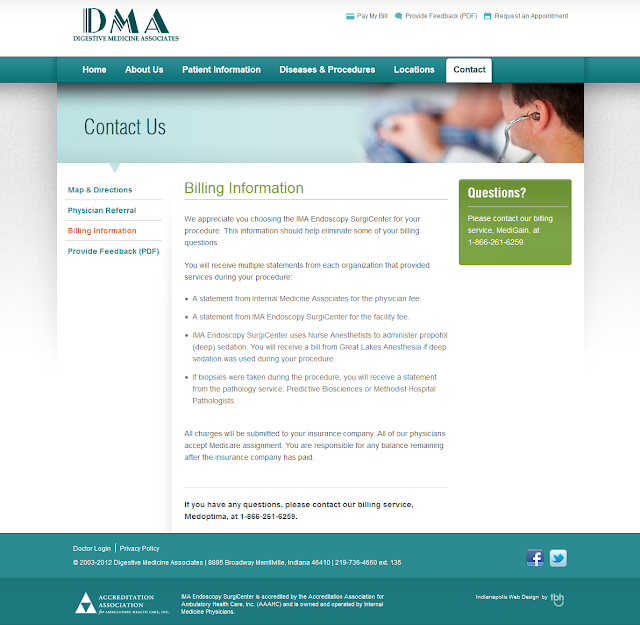 The billing page format was used on many pages of the website with clear information and a highlight box with contact information on the right. board certified physicians and many are on the faculty of Indiana University School of Medicine allowing them to be well versed in the latest treatment options available. TBH Creative is an Indianapolis web design company offering full service solutions and web strategies to businesses. We have successfully worked on many health care web designs and have an expertise in online marketing in the health care industry.